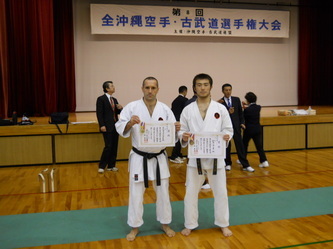 On February 20, 2011 the eighth edition of the All-Okinawa Karate Kobudo Competition was held at the Okinawa International University's Gym in the city of Ginowan.The event began at 10am with a short lunch break ended after 4 pm, was attended by more than 500 athletes from inter-style karate and kobudo, divided into several categories from children to seniors. 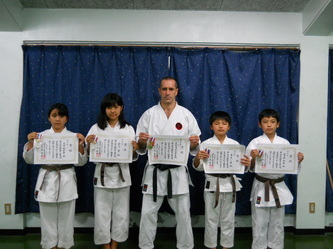 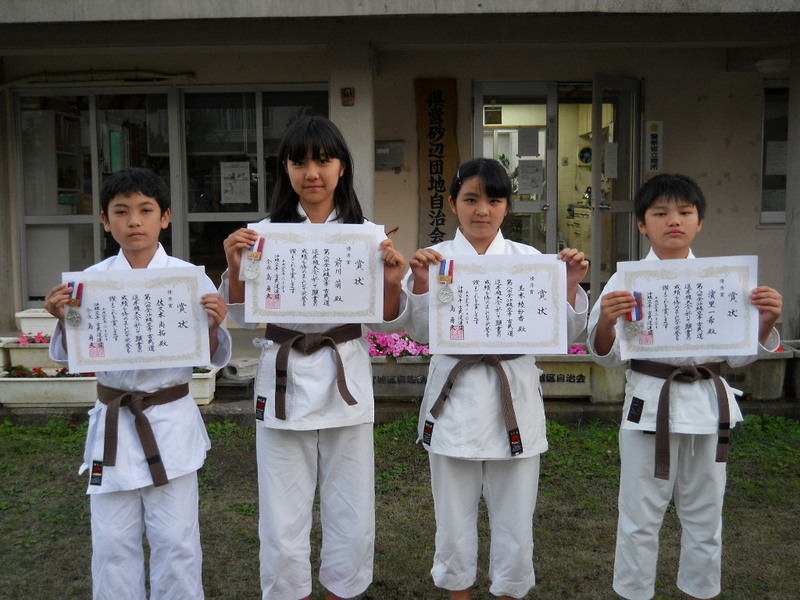 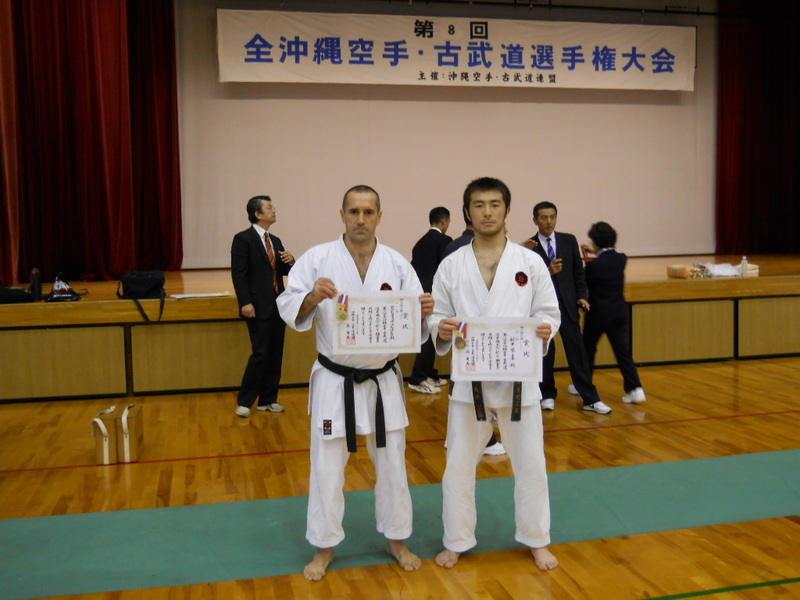 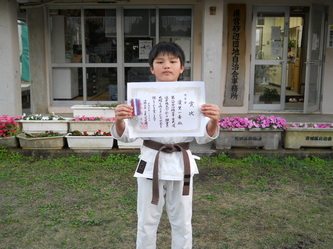 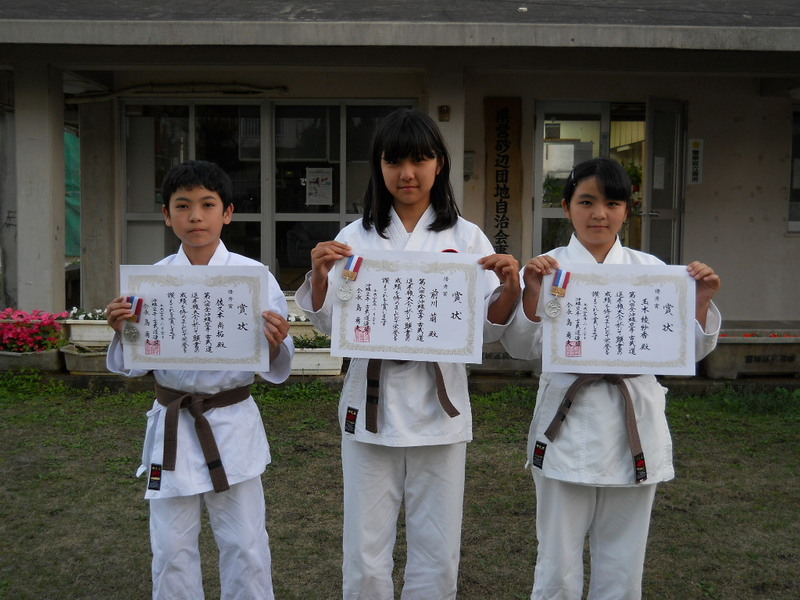 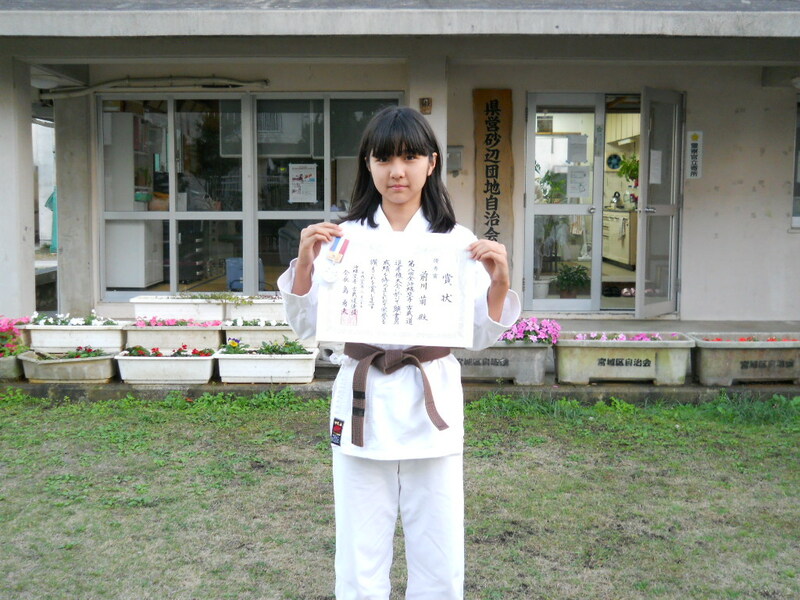 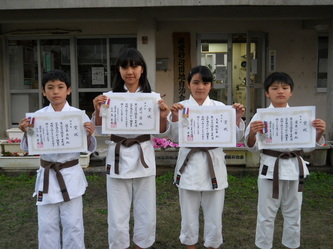 Our dojo, Ryuibukan, participated with three teams and 10 individual athletes, resulting in a second position with the team of Moe, Asaka and Naohiro (age 11 years), and two second places with individual Itsuki and Moe (age 11 years). 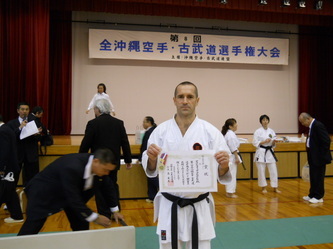 After first coaching and preparing the lower categories, I participated as well in the Senior kata category, winning first place to my surprise (since I'm not a veteran of competitions), and of course with the knowledge and the desire to continue to improve.